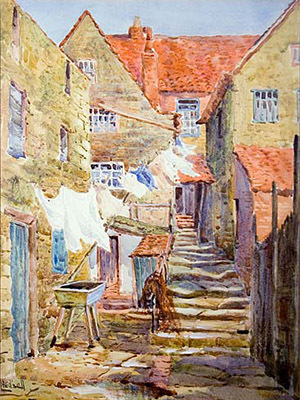 The yard is one of the most famous in the town and has always been popular with artists. 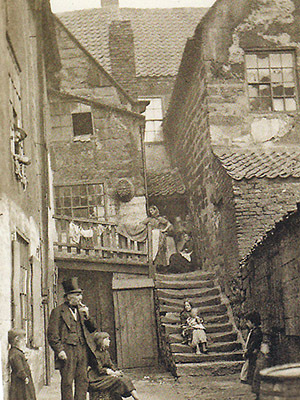 These yards, alleyways and ‘ghauts’ – as they are known locally have hardly changed since the Middle Ages, and these little hidden places – tucked away on both sides of the town – are where one can still meet old Whitby, secret Whitby, unspoilt and untroubled by modern times. This delightful Church Street yard is one of the most photographed in the town. 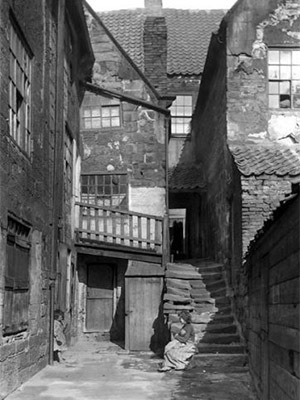 The Yard forms a part of the old Medieval settlement of Whitby and could be closed in case of marauders from the sea. Early deeds in the 1650s refer to Thomas Argment living in the vicinity and the same spelling still occurs in 1830. It is believed Argument is actually an Anglicisation of the Flemish name Argomont.